Jag bjuder på ett till inlägg om Swedish Hasbeens idag för jag fick ett mail tidigare om att de släppt sin kollektion för sommaren 2010. Många nya modeller har tillkommit och som vanligt finns skorna i flera härliga färger. Cheaper and faster. In a world where fashion consumption relies on mass production, cheap labor and conventional trends ideas like sustainability, creativity and quality are sacrificed. Sacrificed for short-term profitability and fear of failure. Swedish Hasbeens’ shoes will always be sustainable. The materials will be natural and ecological. The people who make the shoes will always have good work situations. This makes the shoes good for the people who wear them, the people who make them and for the nature where they came from and will return to. These are the demands that we as modern consumers need to ask ourselves when we buy something. Do we want to make this a better world? 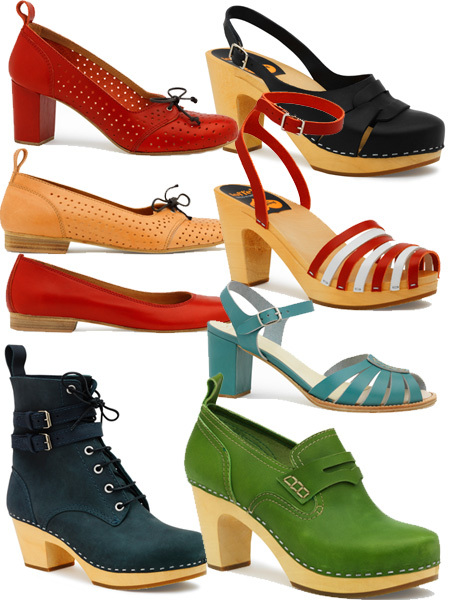 The SS11 collection is Swedish Hasbeens fourth Summer and Spring collection and the company have had a great success making wooden shoes in old retro models. The company is now introducing the Ballet flats, Penny Lofers and other models made on leather soles and will continue to make fun old hasbeen-shoes in fun colors and with natural materials like wood, leather and natural rubber. in Chrome. I’m not sure if this is a formatting issue or something to do with browser compatibility but I figured I’d post to let you know. to add to the discussion. Usually it is a result of the fire communicated in the post I read. allows us to grow organic food. I love to camp out in the great out doors like a lot of other people. be reduced and even effect the breeding cycle which is your number one goal. One of the most popular spam messages ϲontains ɑn image as аn attachment e.
that can truly qualify as the best company for pest control Brooklyn has.